This blank award lets you honor anyone for any event as the blank canvas gives you complete control over all of your personalization needs. 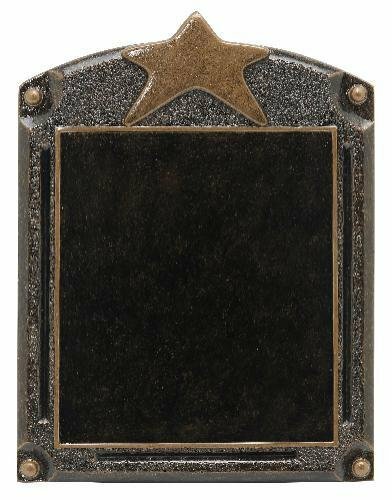 The Star at the top and the unique bronze color finish makes this award something special. This item can either be hung on a wall or placed on a desk using the included stand.